We are a big family if you get everyone together, which makes it madness when we all try and go out for the day and rather expensive. That's why when asked to be a Forestry Commission Ambassador I jumped at the chance. The chance to visit the woods I haven't been to since I was 10 years old. 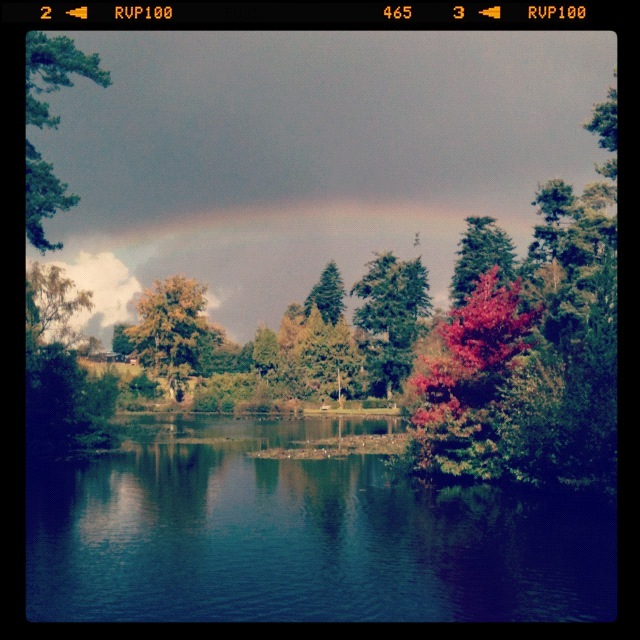 Bedgebury Forest is ideal for cycling, walking, riding, picnics, adventure play and Go Ape. 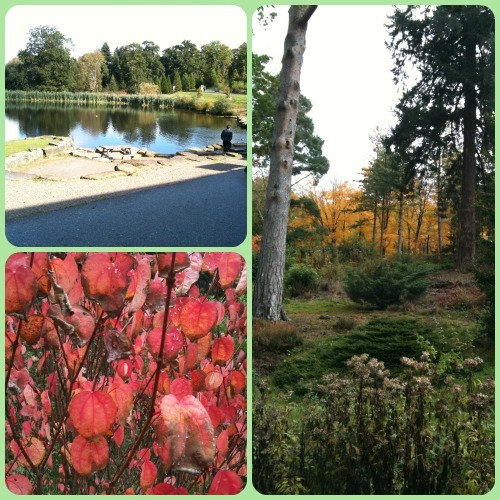 Visit the world's finest conifer collection in the National Pinetum. Safe, healthy outdoor fun for all ages and abilities in the heart of South East England. On arrival we visited the Quench Cycles, where we were provided with bikes and helmets. Which were great on the tracks and suitable sizes for the children as well. 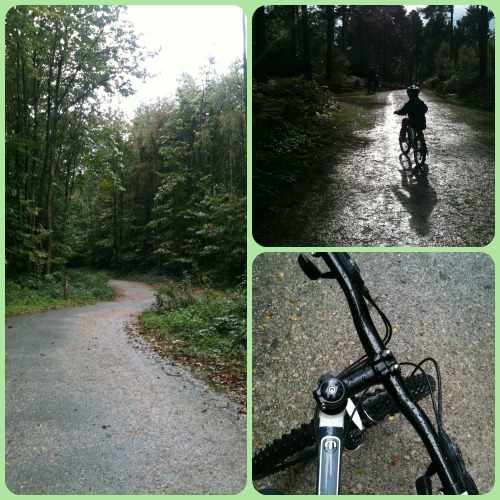 There is 10km of surfaced family cycle track and over 12km of mountain terrain to explore within and around the woods. We may of got a little completely muddy and aching but we loved it! Quench Cycles offer a range of different cycling products and services, such as tyre repairs and washes. 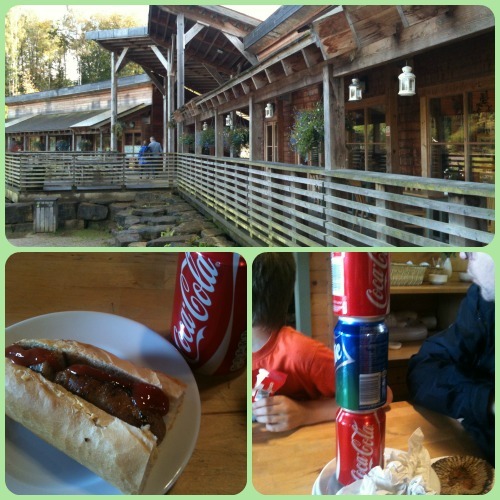 After cycling it was time for lunch in the Pineatery Cafe. A lovely wooden building, with a warm homely feel. We tucked in to some very yummy hot dogs and cakes, there is a selection of responsible priced foods available and picnic tables available to bring your own food. ... and of course the children felt the need to leave the table with the cans stacked up. After lunch we went off to explore the National Pinetum, the 300 acre Pinetum contians over 12,000 tress and shrubs from across 5 continents (many rare and endangered). The children loved walking off to explore and read the signs about the trees and even when the rain came down they enjoyed hiding under the big ones. On our walks we ended up at the Adventure Playground where they ran off to climb, swing, fall and get even more messy in the mud. Finally we ended the day with Go Ape (which unfortunately I have no pictures off as my phone had completely died by this point in all the excitement) but the eldest two loved it, hanging from ropes and giant rip wires, it's like ever boys dream! Within half an hour of finishing and leaving they were already saying how they wanted to do it again sometime. 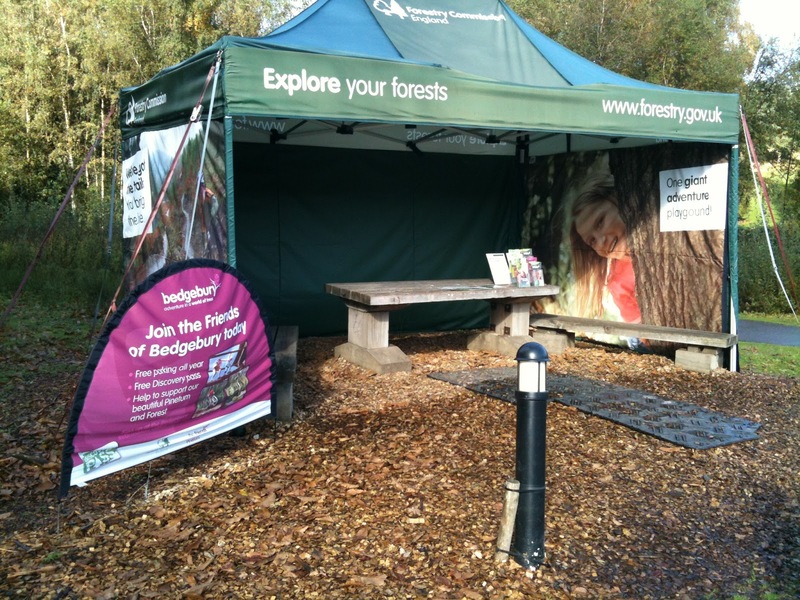 I could not recommend this place enough, or any other of the Forestry Commission sites. There was plenty of exercise and fantastic fun had by all. We were given some activities to do, which I hope to feature in a follow up post. We would like to thank everyone at Bedgebury Pinetum who made our day extra special. We can't wait to go back again sometime. *We recieved a Discovery Pass, Lunch, Bike hire and free entery to Go Ape in return for this post. All words and opinions are our own.